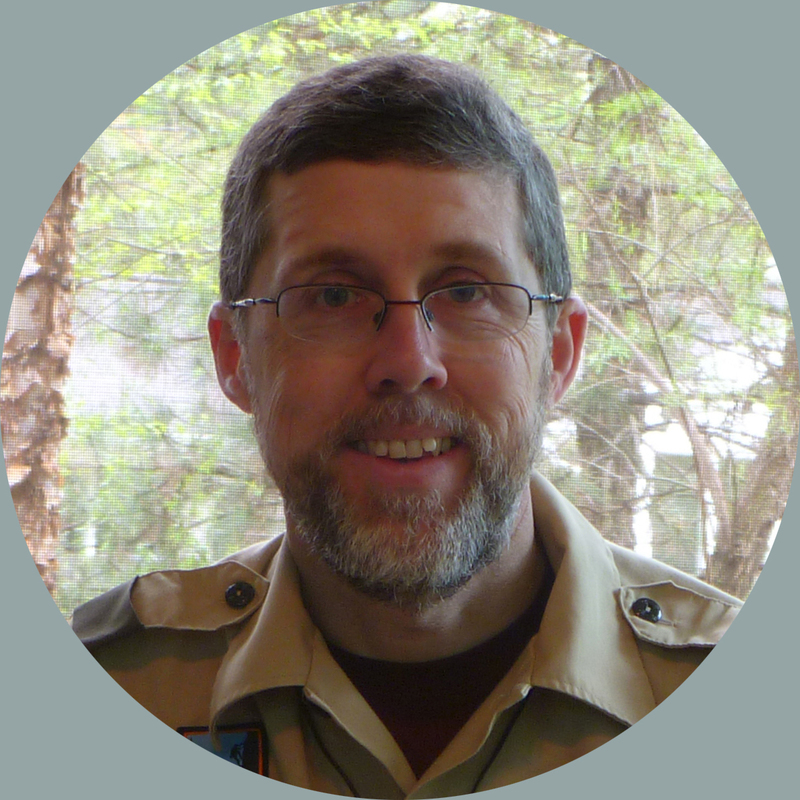 Many new Eagle Scouts—or their parents at least—like to buy thank-you gifts for Scout leaders who have made a difference along the trail to Eagle. Similarly, many people who attend Eagle courts of honor like to bring along a Scouting-related gift. ScoutStuff.org is full of gift ideas to fit any budget, but it’s not the only source for great gifts. My favorite source: eBay. As I write this post, eBay has just over 158,000 items for sale in its Boy Scout category. Most of those items are patches, but there are also thousands of pins, posters, flags, uniforms, mess kits, and books. Of course, you have to wait for auctions to end to purchase some items, but others have (somewhat inflated) “buy it now” prices that may be just the ticket if your court of honor is coming up soon. And while you’re visiting eBay, pick up a bargain book for yourself, such as 1937’s The National and World Jamborees in Pictures ($29.99). If you’ve played any role in getting a young man to the Eagle Scout rank, you’ve earned a reward! Remember books? In many quarters, printed books seem to be going the way of the 8-track tape. The good news is that they’re often being replaced by ebooks, which are portable, searchable, and weightless. For me, a trip to the library these days usually means logging in to my library’s website and downloading some ebooks to the Kindle app on my iPad. But my iPad holds more than library books. 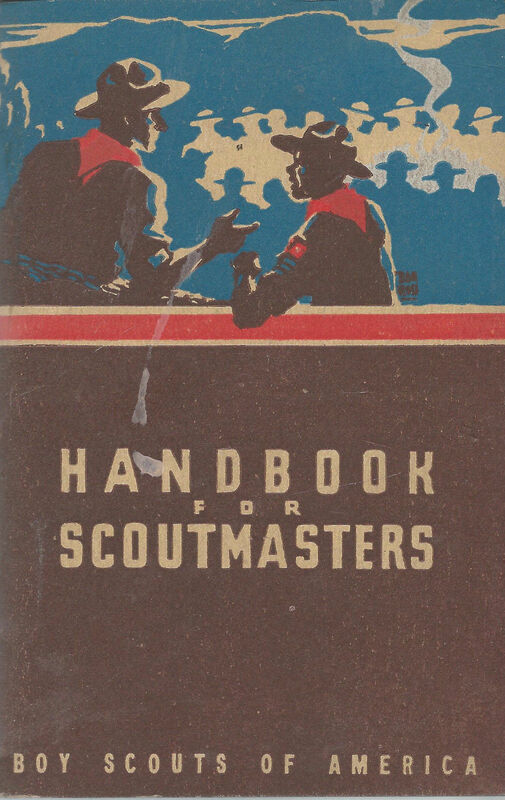 It also holds two important Scouting publications: the Guide to Safe Scouting and the Guide to Advancement. Add in your troop handbook or other troop-specific documents, and you’ll have a handy little library in your pocket or backpack. Oh, and a not-so-shameless plug. 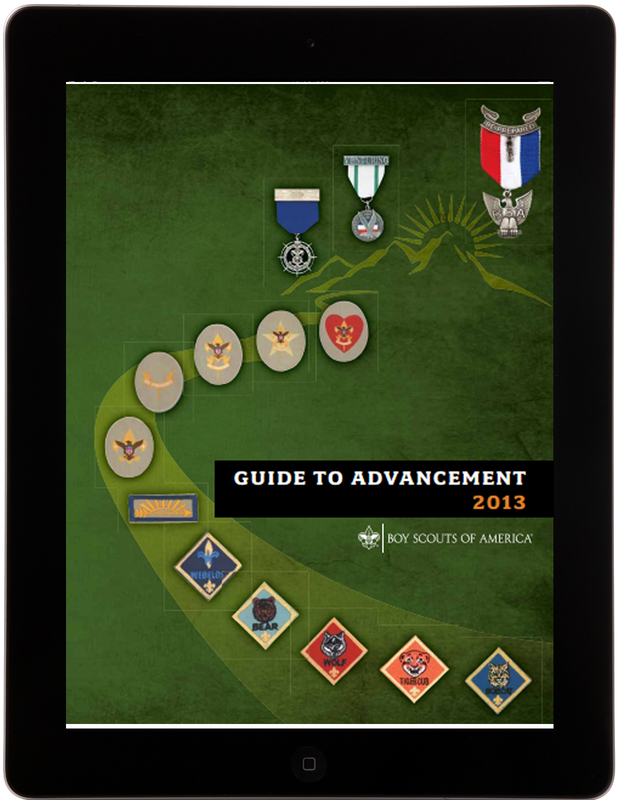 Both The Eagle Court of Honor Book and The Scoutmaster’s Other Handbook are available as Kindle books! Click the book titles above for details. Back in my district executive days, my roundtable commissioner had a great saying: “If it’s not for the boys, it’s for the birds.” Whenever Scouters started complaining about how the council was spending money or who had received the District Award of Merit, Dan would use that saying to remind everybody that none of those petty details mattered as long as boys were benefiting from Scouting. Dan’s saying is especially apropos when it comes to the Eagle court of honor. Your honoree should be the center of attention, and the spotlight should rarely stray from him. At one court of honor, for example, I watched as the master of ceremonies introduced a parade of presenters, describing each man’s tenure in Scouting and detailing all the things he had done over the years. These introductions were interesting and impressive—but they were also totally out of place. 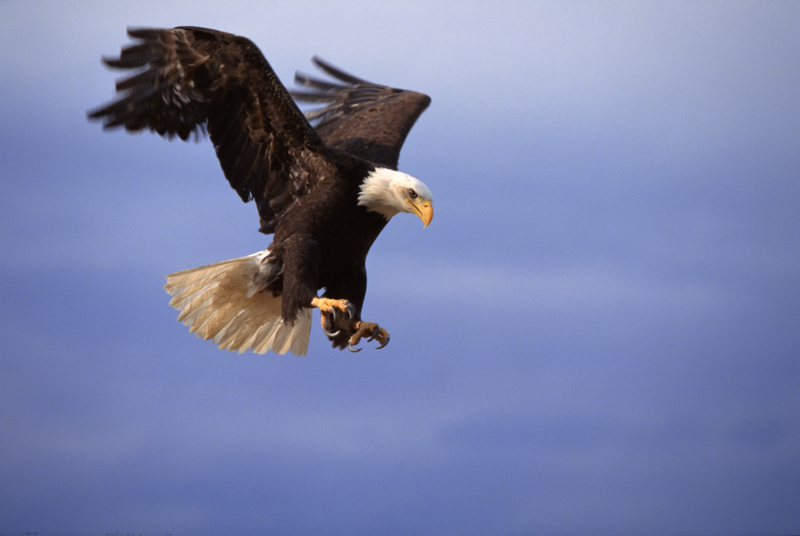 Remember: if it’s not for the Eagle, it’s for the birds. So why were we talking about Air Force gloves? Because I’d introduced the concept of HIP, a leadership term that stands for “hands in pockets.” Here’s the idea: if you as a troop leader or parent approach your youth leaders with your hands in your pockets, you’re much less likely to interfere with what they’re doing. Imagine, for example, that your troop instructor is having trouble teaching the sheet bend. If you approach him with your hands free, you might be tempted to take the rope from him–and take over his responsibility. With your hands in your pockets, however, you’re limited to less invasive verbal coaching. So the next time you arrive at a troop meeting, put your hands in your Air Force gloves and leave the leading to your youth leaders. How do you make youth leadership work in your troop? Post your ideas below. I’m writing this post in an airport gate area as a toddler and a preschooler melt down a few seats away. I feel their pain; airports can make me grumpy, too. Where could your volunteers come from? Check first with your Scouts’ sisters. You may well find a few girls who babysit already, who have completed the American Red Cross’s Babysitter’s Training Course, and would be “like totally bored” sitting through a Scout ceremony. 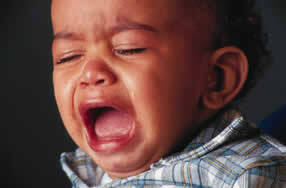 If you’re holding the court of honor at a place of worship, check with the folks who run the nursery for other ideas. They may well have a cadre of babysitters that you could enlist. 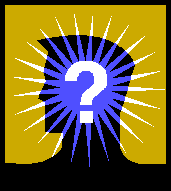 How can you identify a great Boy Scout leader? You can’t go by age. You can’t go by gender. You can’t even go by the number of knots on his or her uniform. Instead, the best mark of a great leader is the question mark. Let’s say you live in Florida and your patrol leaders’ council decides it wants to go ice fishing (not a typical activity in the Sunshine State). If you simply say, “No, that’s impossible,” you shut down your youth leaders’ creativity, limit their horizons, and undermine their authority. Where could we do ice fishing? Could we get that far on a weekend outing or would we have to go over winter break? Do we know anyone that could teach ice fishing? Do we know anyone with a fish house on a northern lake? You get the idea. By asking questions like those, you will guide them to a smart decision. More importantly, however, you will encourage your youth leaders’ creativity, broaden their horizons, and strengthen their authority. In other words, you’ll achieve the aims of Scouting. How Does Your Cake Measure Up? In a recent post, I highlighted some amazing court-of-honor cakes. The reality is, however, that most troops probably serve more ordinary sheet cakes at their courts of honor. And that leads to the question of how much is enough. Except perhaps for newspapers and pop-music heartthrobs, nothing gets old as fast as a fancy sheet cake. A lot of people save huge chunks of cake from weddings or courts of honor, but I doubt many ever touch them again except to toss them in the trash. It makes little sense (and costs many dollars!) to buy more cake than you need for a courts of honor. So how much is too much? That depends on how big a cake you buy but also on the serving size you choose. Bakeries typically describe three portion sizes: dessert size (2″ x 4″), receiving-line size (2″ x 3″), and buffet size (2″ x 2″). For a full sheet cake (16″ x 24″) those numbers translate into 48, 64, and 96 servings, respectively. Half a sheet cake (12″ x 16″) would, of course, yield half as many servings. A good rule of thumb on serving sizes is to use 2″ x 3″ pieces if the cake is the main food item and 2″ x 2″ pieces if other food is offered. 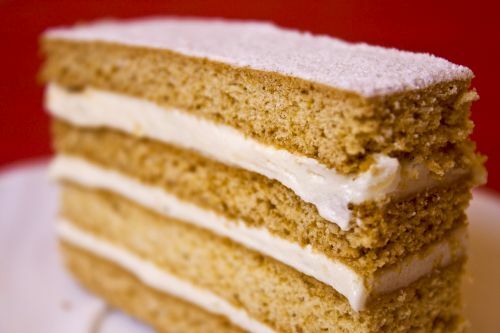 Now, a 2″ x 3″ piece of cake may seem small, but don’t worry. Each piece packs in roughly 350 calories, 15 grams of fat, and 50 grams of carbohydrates!